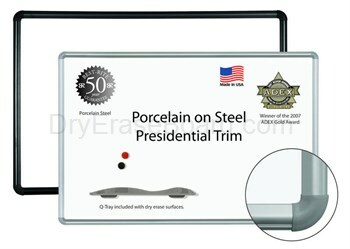 Long-lasting and elegant can best describe porcelain steel markerboards with presidential trim. 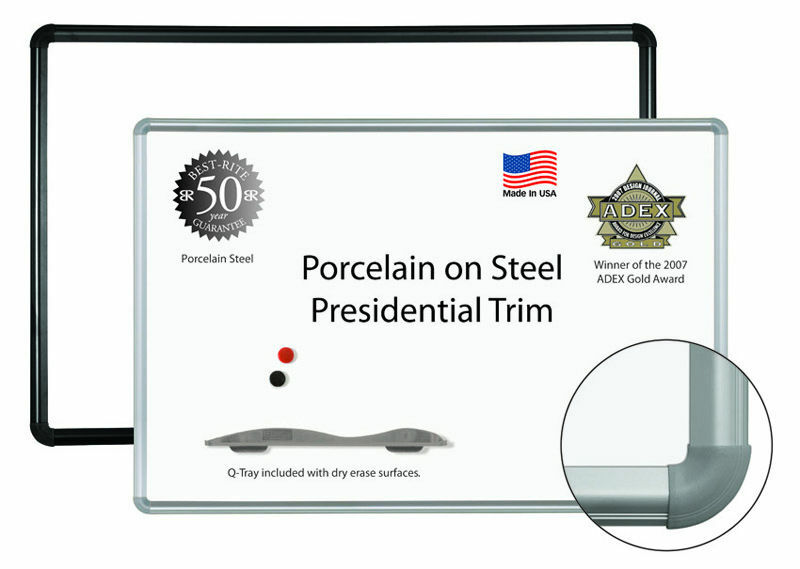 The difference between traditional white markerboards and those in the presidential trim line is the latter whiteboards include lengths of rounded anodized aluminum that are joined with matching injection-molded corner pieces. The surface of these boards consists of porcelain on steel for long durability and this surface is magnetic which accounts for a threefold improvement in contrast sensitivity and visual acuity. Reduced surface light distortion and enhanced visibility for optimum eye comfort are additional advantages to using presidential trim whiteboards.